Hi everyone! You know the times when words fail to describe Yuzuru's skating, right? At that point, some creative commentators save us with their funny and interesting comments. This is a thread for those that you can't forget. "It looked like water...suspended in soup." "... when he put forth what was the fourth highest score in a short program ever, you know who owns the top 3?" "agile like a freshly born kitten"
Kurt: He claims moments out of nowhere, he's in the spin and just by clenching his fists on the note, there's so much ownership from this fellow, like a ballet dancer....It's like he commands us. Show-off. Tracy: Yuzuru skates in a place that most of us can only dream of. 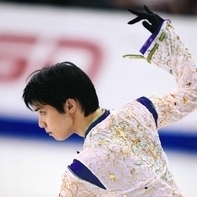 Joanne Conway: He is the perfect concoction of power, grace, strength, technical precision...if you had a machine that created figure skaters, it would probably produce Yuzuru Hanyu. Some of the choreographic touches, only the most confident of skaters can pull that off, and if you have a horror of a day on the technical front, you'd feel a bit silly doing some of that, but such is his confidence in his technical ability, he is never going to look silly out there. My most favorite by Massimiliano Ambesi: Welcome to the planet Hanyu. Population number is one. Only him. the b.esp one of this is nice too. 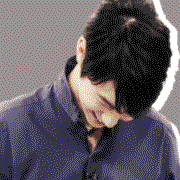 I like watching Yuzu's programs without commentary and with different commentators. Kurt: That was an honor to watch. female commentator: We ran out of superlatives for this program. aside from getting emo watching this, I got a little laugh at their comment. 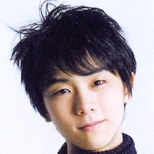 "Only Yuzuru can take a mistake and turn it to something beautiful"
"You can tell he has a lot of spins in that program, because his hair was neat and tidy when he started." “ His jumps are sensational; his falls are spectacular “, Quoting from Tracy ( not verbatim, sorry) I think at the time Tracy hadn’t coached him yet . That was Nice 2012 iirc! My most favorite by Massimiliano Dolfini: Welcome to the planet Hanyu. Population number is one. Only him. Dolfini's name is Angelo, he's the other commentator! Thanks . I'm loving these Yuzu emoticons. "Yuzuru Hanyu jump off the ice like an elastic rubber ball"
My stupid lady commentator from Esp Ro said that his H&L costume is not fit for the music... BOOO!! !